I'm Jean L.S. Patrick, the author of several books for young people. 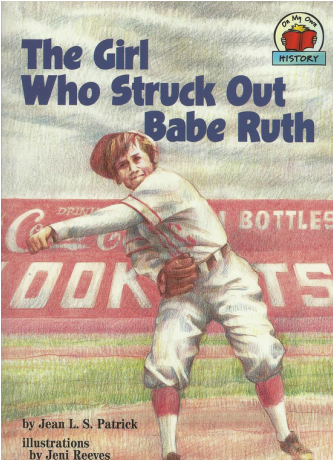 I'm best known for my nonfiction books, including The Girl Who Struck Out Babe Ruth and my four books about Mount Rushmore. As I tell kids, my goal is to write nonfiction that isn't boring. Meanwhile, I'm obsessive about research and accuracy. * Summer reading programs. Wearing a replica of Jackie Mitchell's 1931 baseball uniform, I dramatize The Girl Who Struck Out Babe Ruth. Although this is my most popular presentation, I can adapt any of my books to fit your library's summer reading theme. * Community presentations. I speak to historical societies, community groups, etc. about Mount Rushmore history, baseball history, and other topics related to my books and career. * Memoir writing workshops. During a one-evening session or a series of sessions, I teach people how to get started on their memoirs. * Individual coaching and editing services. I offer coaching and editing services on a limited basis. Please contact me for details. If you'd like to know more . . .